1. Recruiters and hiring managers use LinkedIn to search for candidates. Having the right profile will get you noticed. 2. Tuning up your profile will boost the chances you will be found more quickly for your skillset and experience. 3. Building and maintaining your professional network will place your profile where it will get the attention of potential employers. 4. 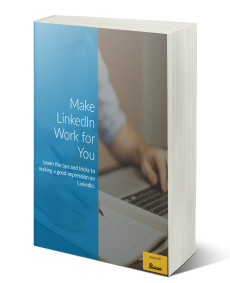 Use LinkedIn like a recruiter to uncover the opportunities available in your field. 5. Joining groups puts you in touch with other professionals in specific industries.